EMPIR project 'Quantitative measurement and imaging of drug-uptake by bacteria with antimicrobial resistance' (15HLT01, MetVBadBugs) aims to develop new measurement capabilities that will help scientists combat deadly drug-resistant bacteria. Good Practice Guide Cryogenic Sample Preparation for Vacuum Based Metrology Instruments, which gives advice on producing reliable experimental results, comparable across different laboratories, and using correctly applied methods. Project partner BAM have led the development of a new work item for ISO Standards Technical Committee 201, working on the surface analysis for biofilms. Sample preparation and handling is of paramount importance for the analysis of biological samples and standards are urgently needed for surface chemical analysis. In addition, Kim Hardie from project partner University of Nottingham, was interviewed by the BBC World Service about antimicrobial resistance on the radio programme How do we fix antibiotics? Paulina Rakowska, the Project Coordinator from NPL, said 'Our objective is to provide the essential metrology needed for measuring drugs in bacteria and biofilms. Each partner brings a high level of technical expertise in a very specific field. These areas include microbiology, cryo-preservation, advanced spectroscopy, spectrometry, nanofabrication and numerical modelling. Our methods are innovative and our tasks ambitious, yet the research has pre-competitive character and we all support the ethos of knowledge-sharing. The cooperation between partners is excellent. All partners share ideas and drive their activities to ensure the strongest possible outcome for the project. 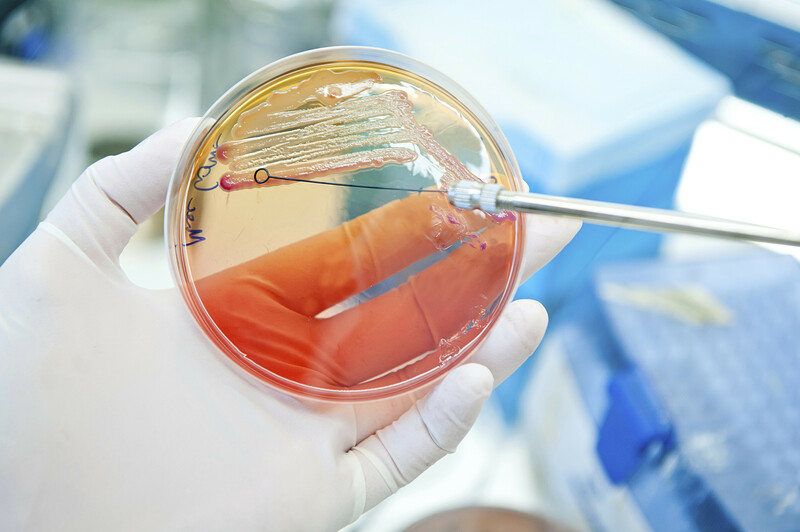 The active participation of stakeholders in the project consortium directs the project to address the issues and metrology needs faced by researchers in areas affected by antimicrobial resistance. The project is making excellent progress. To date the project has produced 13 peer-review journal articles, with more in preparation. We have provided important input to the development of 3 international standards. The consortium has also organised high profile symposia and workshops, such as ALTECH 2017 at the European Materials Research Society Spring Meeting; and the 'Cool tools for microbial imaging' session at the 2018 Annual Microbiology Society Symposium in the UK. Sample preparation is one of the most critical steps for reproducible high-resolution imaging. To ensure uptake of the results of this project and to promote the topic within the scientific community, NPL and NIBSC are leading the organization of the 89th IUVSTA workshop on "Biological and soft matter sample preparation for high-resolution imaging by high-vacuum techniques". Want to hear more about EURAMET?